An Internationally Accredited Fire Service Agency! 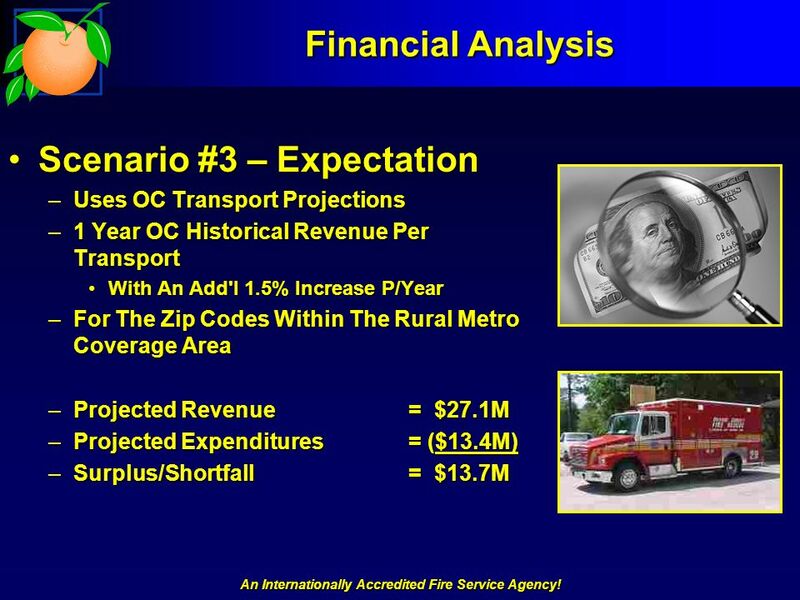 EMS Transport Fiscal Analysis Jim Moye, Chief Deputy Comptroller Orange County Fire Rescue Department. 2 An Internationally Accredited Fire Service Agency! 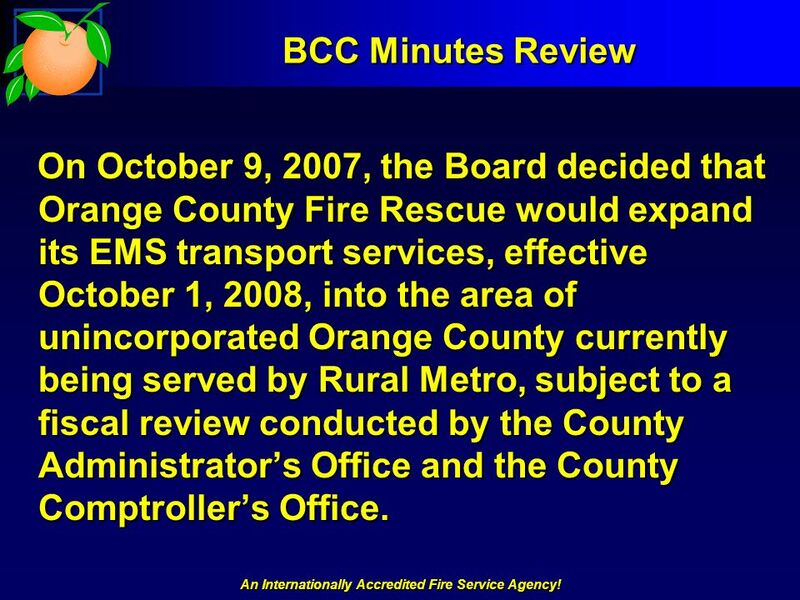 BCC Minutes Review On October 9, 2007, the Board decided that Orange County Fire Rescue would expand its EMS transport services, effective October 1, 2008, into the area of unincorporated Orange County currently being served by Rural Metro, subject to a fiscal review conducted by the County Administrators Office and the County Comptrollers Office. 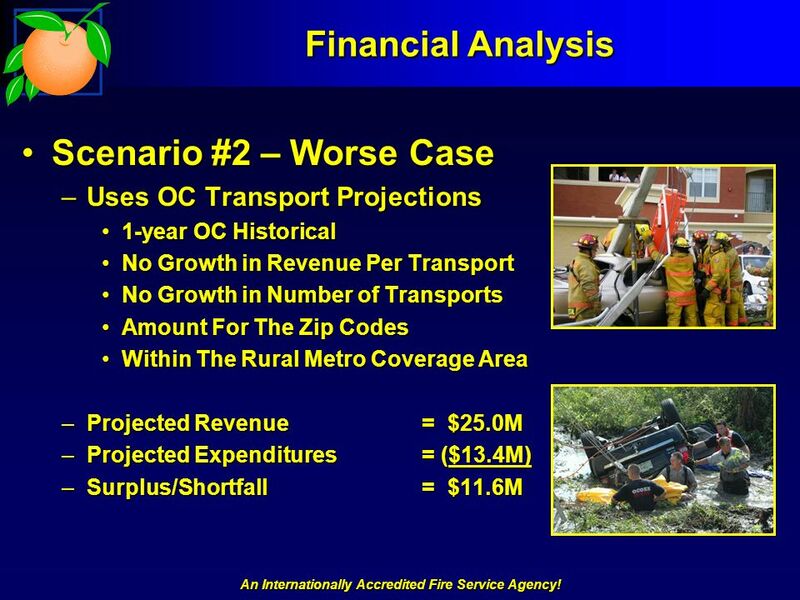 On October 9, 2007, the Board decided that Orange County Fire Rescue would expand its EMS transport services, effective October 1, 2008, into the area of unincorporated Orange County currently being served by Rural Metro, subject to a fiscal review conducted by the County Administrators Office and the County Comptrollers Office. 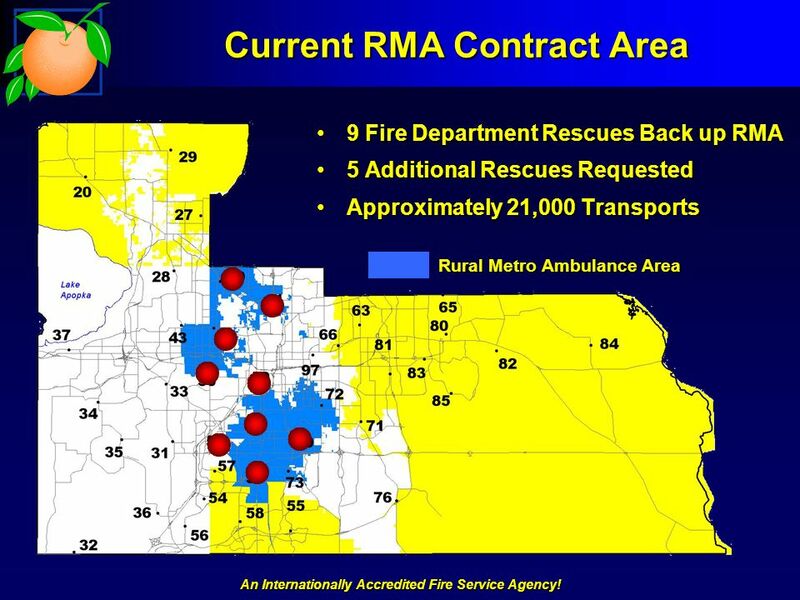 11 An Internationally Accredited Fire Service Agency! 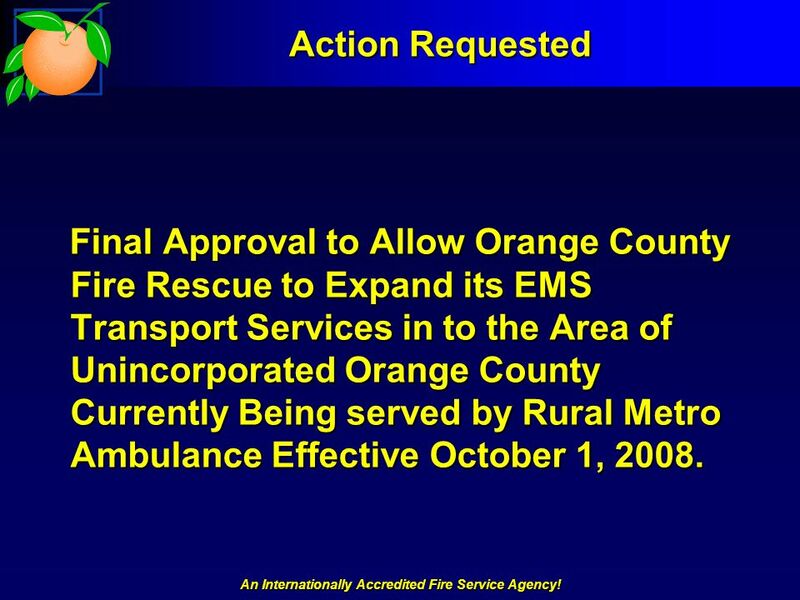 Action Requested Final Approval to Allow Orange County Fire Rescue to Expand its EMS Transport Services in to the Area of Unincorporated Orange County Currently Being served by Rural Metro Ambulance Effective October 1, 2008. 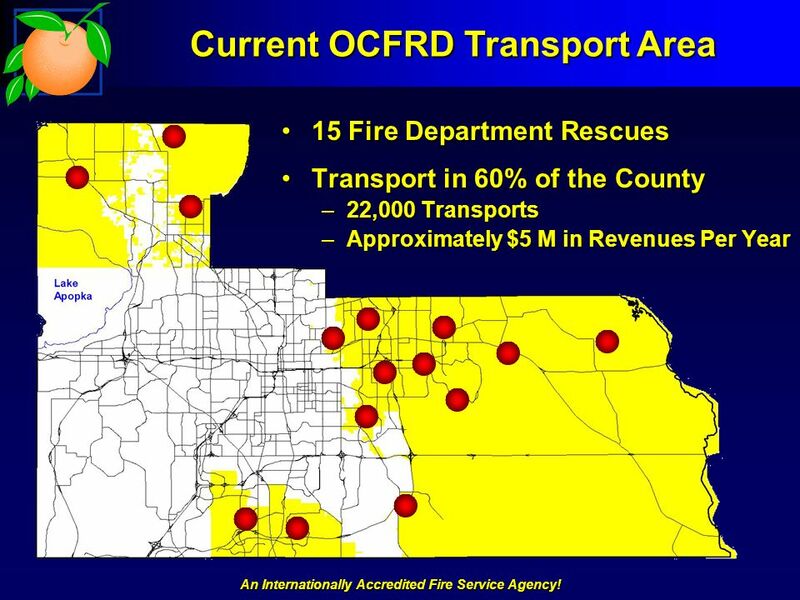 Final Approval to Allow Orange County Fire Rescue to Expand its EMS Transport Services in to the Area of Unincorporated Orange County Currently Being served by Rural Metro Ambulance Effective October 1, 2008. 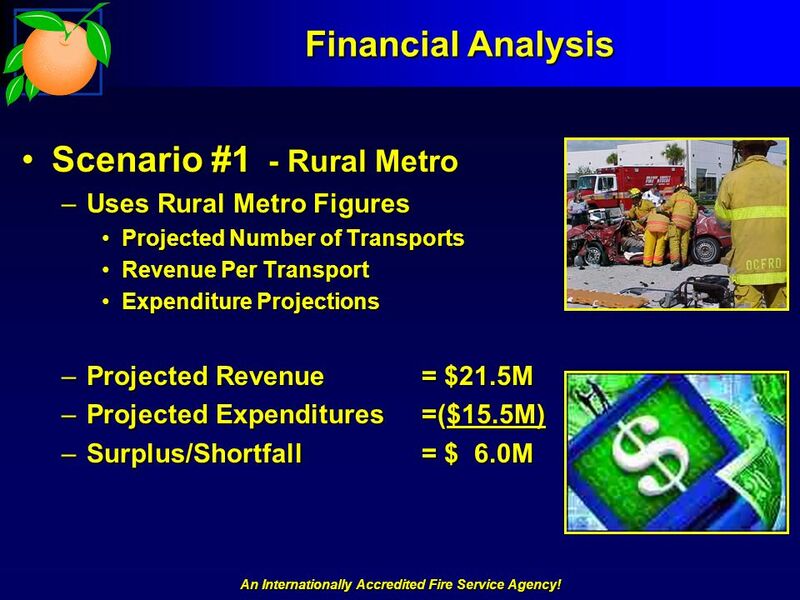 Download ppt "An Internationally Accredited Fire Service Agency! 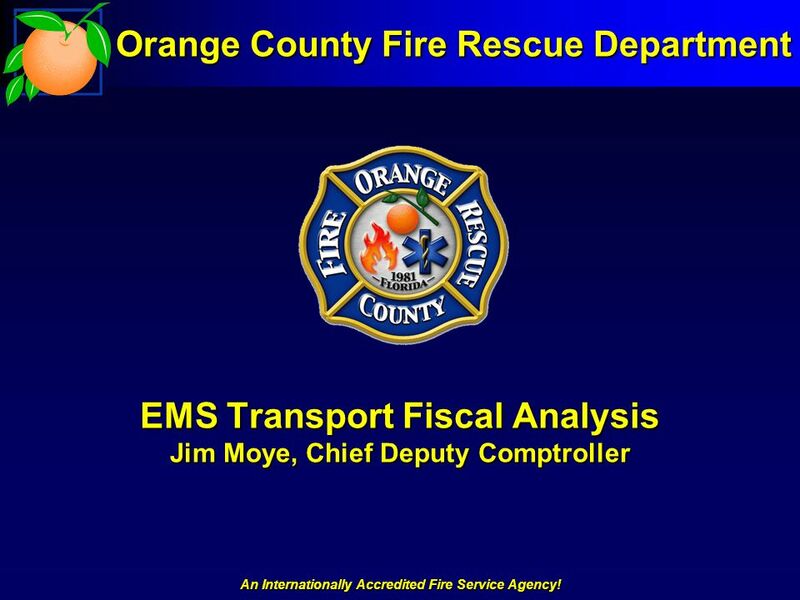 EMS Transport Fiscal Analysis Jim Moye, Chief Deputy Comptroller Orange County Fire Rescue Department." 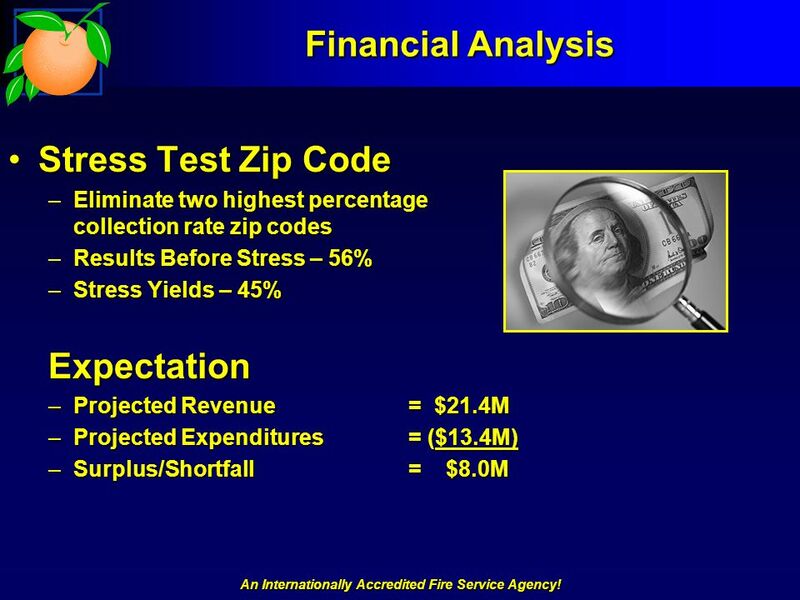 The National Fire Fighter Near-Miss Reporting System Fire Fighter Fatalities Learning From the Past Saving Lives Through Lessons. Lafayette Township Performance Audit NSAA Annual Conference June 15, 2007. 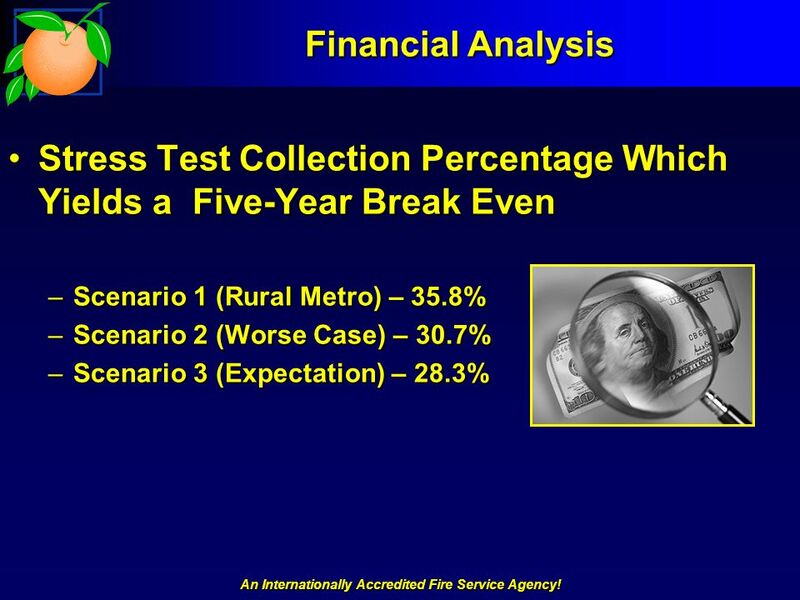 FULTON COUNTY SCHOOLS Fiscal Year Mid-Year Budget Review Fiscal Year Preliminary Budget Outlook February 28, 2006. 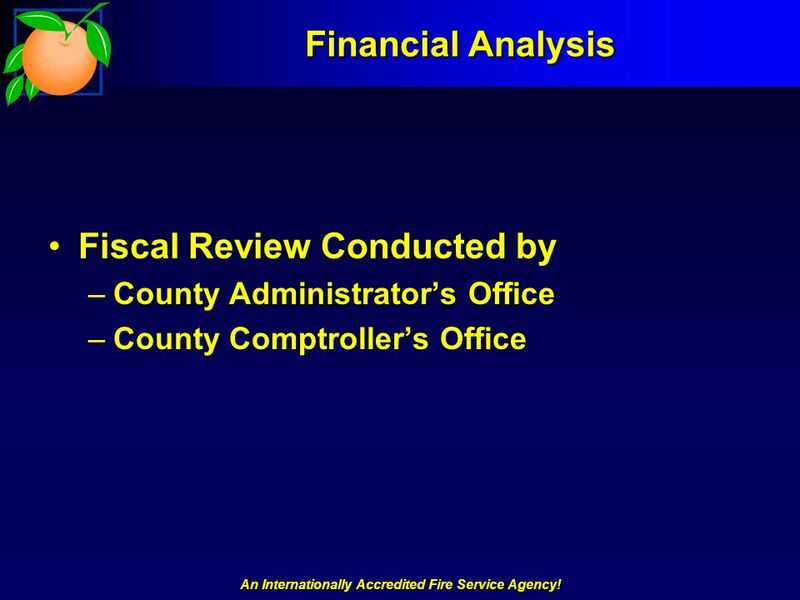 FISCAL YEAR Financial Report Year Ended June 30, 2008. Bottoms Up Factoring. Start with the X-box 3-9 Product Sum -6 -27.